We have an arsenal of water damage restoration services to help save, clean, and restore your home or business. We have perfected structural drying with our in-place drying method. This method allows us to cause the least amount of physical disruption. It also decreases drying time by up to 60%. 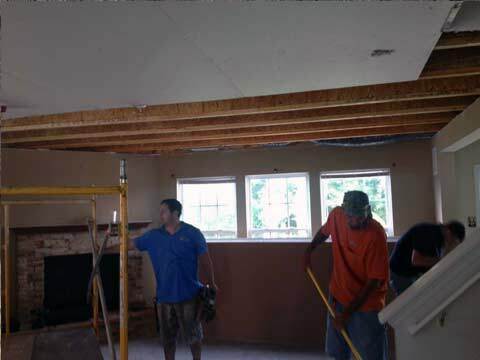 Our state-of-the-art technology allows us to offer fast and affordable structural drying services. In addition to extracting water and drying surfaces, a large part of water damage reconstruction and restoration is dealing with mold. Whether you need us to keep mold from growing or already have mold, we have the tools and knowledge to help. If you've had any amount of water damage, it is highly recommended that you have a mold remediation expert inspect the area, as mold can be hidden, hard to find, but still a serious problem. 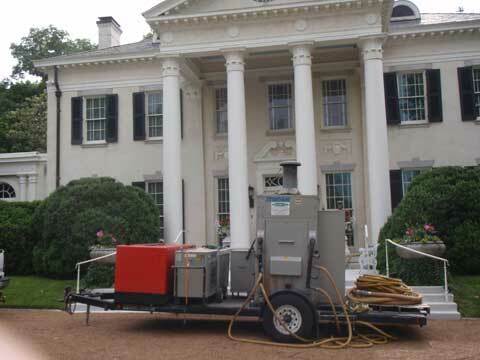 We have various sizes of truck-mounted heat exchangers that allow us to work in large homes and businesses as well as small offices and tight spaces. 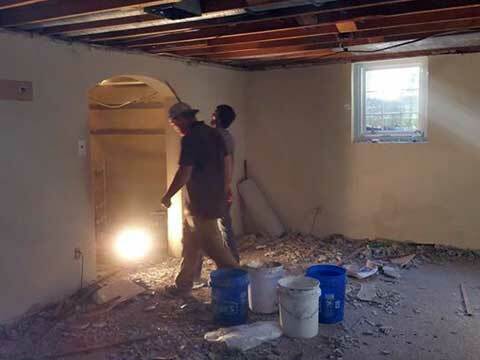 A water damage reconstruction project - a busted pipe in an upstairs bathroom caused extensive water damage downstairs. Within 3 weeks you couldn't tell there had been water damage - we dryed the whole downstairs, removed soaked drywall; then hung, finished, sanded, and painted the new drywall.